What Causes Tingly Hands and Feet? Tingly hands and feet are common symptoms that can be caused by a variety of medical conditions. Tingling in the hands and feet is often caused by something as simple as pressure on your nerves from falling asleep on your arm or crossing your legs for too long. However, tingling hands and feet can be due to something more serious, such as nerve damage. Tingly hands and feet due to nerve damage are often accompanied by pain, itching, and numbness and is known as peripheral neuropathy. There are over 100 different types of peripheral neuropathy, and it affects an estimated 20 million adults in the United States alone. The most common cause of tingly hands and feet is diabetes. In fact, diabetes accounts for about 30% of all cases. Diabetes can cause diabetic neuropathy, which can affect the feet, legs, arms, digestive system, thighs, buttocks, and even the head. If you have diabetes and are experiencing tingly hands and feet, you should seek treatment from a medical professional as soon as possible. Treatment for tingly hands and feet due to diabetes is aimed at controlling blood sugar levels in order to slow the progression of peripheral neuropathy. If you do not have diabetes and are experiencing tingly hands and feet, you should still seek prompt medical treatment. It is important to determine the cause in order to prevent the condition from becoming worse. 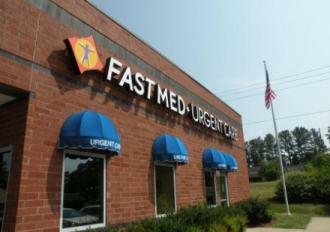 At FastMed Urgent Care, we provide treatment for non life-threatening illnesses and injuries 7 days a week, 365 days a year, making it easy for you get treatment for you symptoms and soon as you notice them. Don’t wait until the last minute to get treatment for tingly hands and feet. Visit a FastMed location near you today.